Weird but true: blue + brown paint = black. I mix my own colors, so I don’t actually own any black, though I use it A LOT. 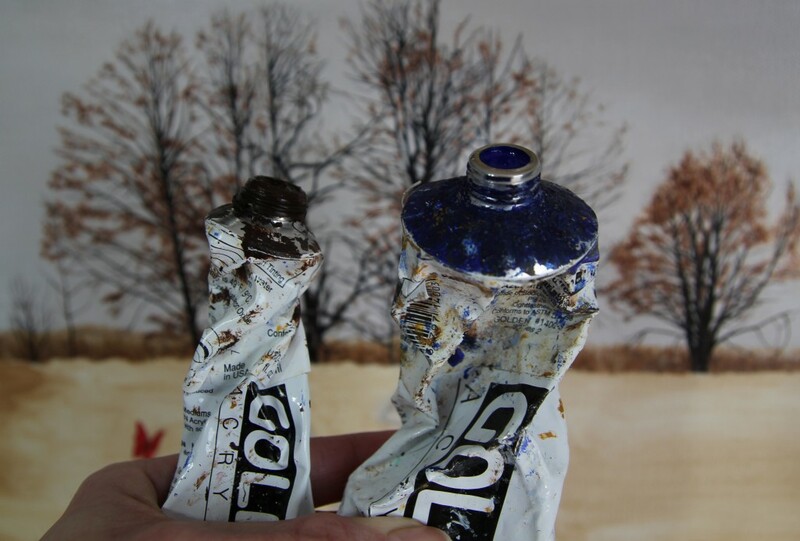 I learned this handy tip years ago- mix Ultramarine blue with Burnt Umber to make black- it makes a richer color (and handy if you run out of the tube version).